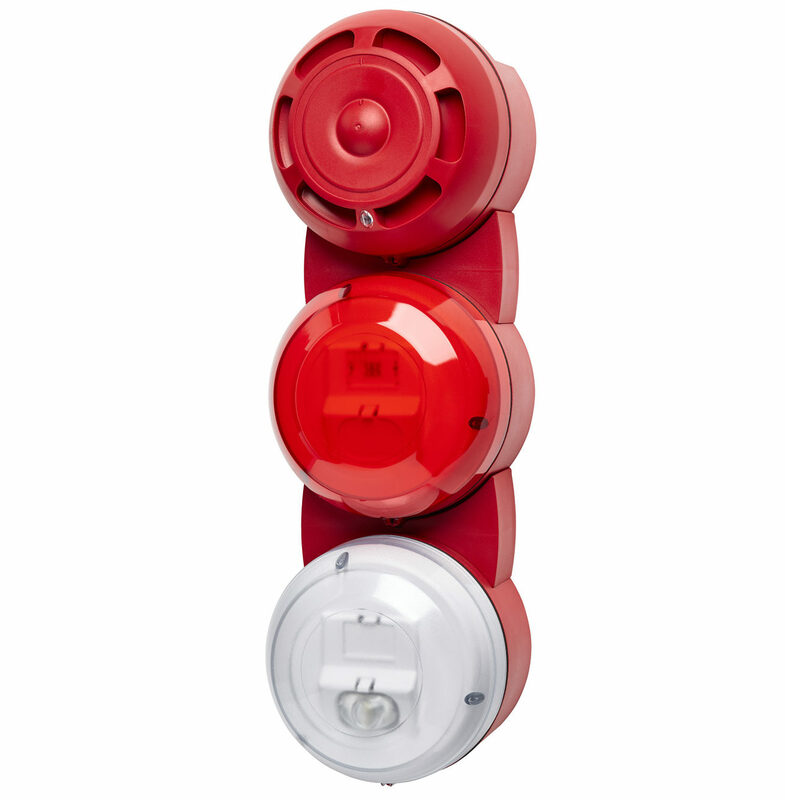 This triple high output EN54 compliant LED strobe with siren provides a high efficiency, low power solution for alarm signalling in an easy to install design. 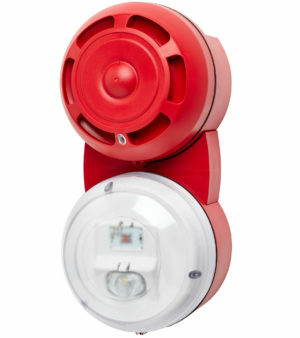 Multiple flash modes enable warnings and alarms to be signalled visually and audibly. The pre-alarm and alarm modes are individually monitored and operate different flash functions. This integrated audible and visual alarm device has a unique first fix installation method in the base enabling quick installation to provide a competitive solution. 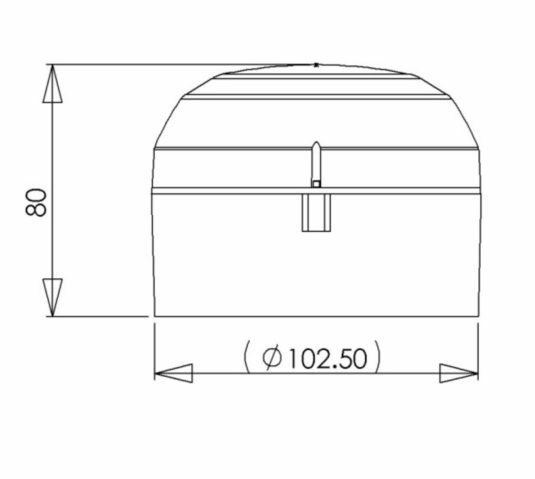 The high quality and robust design ensures that the user has trouble free operation over the life of the product, even in tough environments. 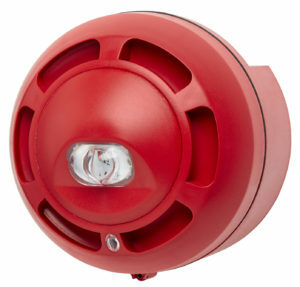 With a range of selectable flash options, the product is suitable for a wide range of applications. Individual reverse polarity monitoring of pre-alarm and alarm circuits. IP65 rated with Deep base. Reduces costs where multiple VAD are required. range enabling very flexible system upgrades and changes. Robust and reliable, lower maintenance costs. High specification and efficiency simplifies product selection. Hospitals, Shopping Malls, Commercial, Marine and Industrial sites. 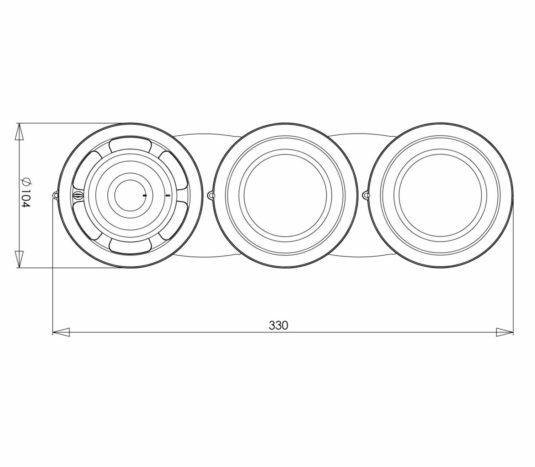 Where 2 stages of visual alarm are required with a high output. Where low power consumption is required with a high light output. 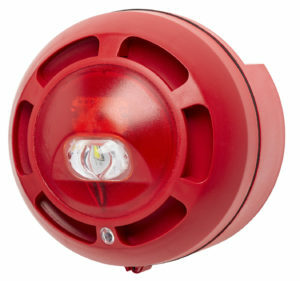 TRIO-R-RW Triple Red deep base with Red and White high output strobes and red siren fitted. TRIO-W-RW Triple White deep base with Red and White high output strobes and white siren fitted. Other variations available to special order, contact us for details. Fircroft Technologies web site. Fircroft Technologies specialise in the design of audible and visual alarms and signalling equipment. Our designs provide market leading performance and unique benefits and are primarily aimed at the OEM sector. Fircroft Technologies © 2019 Website Designed by Websites Without Worry.